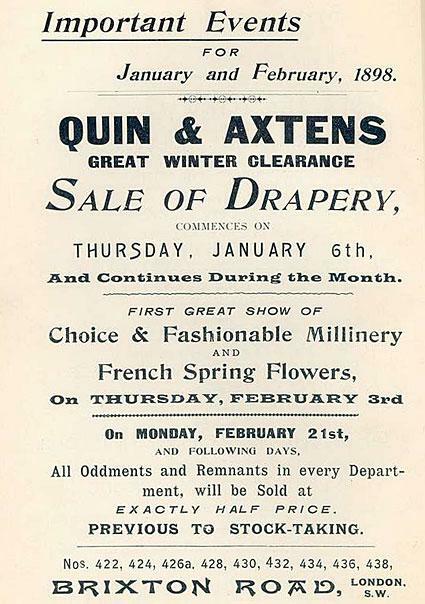 COSGB: Quin & Axtens Ltd.
Quin & Axtens Ltd. was set up as a business of drapers, furnishing and general warehousemen at 422 to 440 Brixton Road, Brixton. 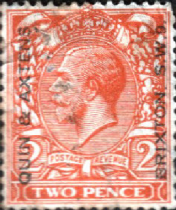 Williams Axtens was the chairman. Joseph Salmon and Arthur Way, were managing directors. Mr Boys-Tombs replaced Way in 1906. The company started as a small shop on Brixton Road, but slowly expanded in both directions. 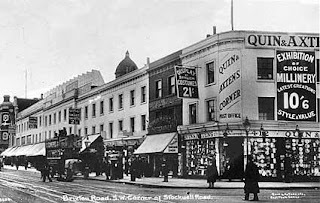 By 1930, the store covered the entire block between Ferndale and Brixton Road. The frontage was rebuilt in a classical style a few years later. Unfortunately, the Quin and Axten store was completely destroyed in the earlier air raids of May 1941 and only its ruined walls remained. Its business was transferred to the neighboring Bon Marché store. 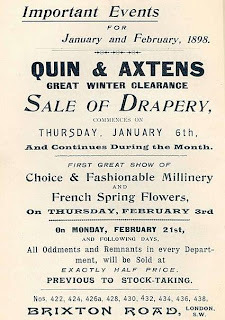 H. P. Bulmer & Co. Ltd.
D. & J. Wellby Ltd.